​Thank you to everyone who came out to our final Battle Fleet 2 tournament this weekend! We're glad you were able to be a part of it and hope you all enjoyed yourselves. 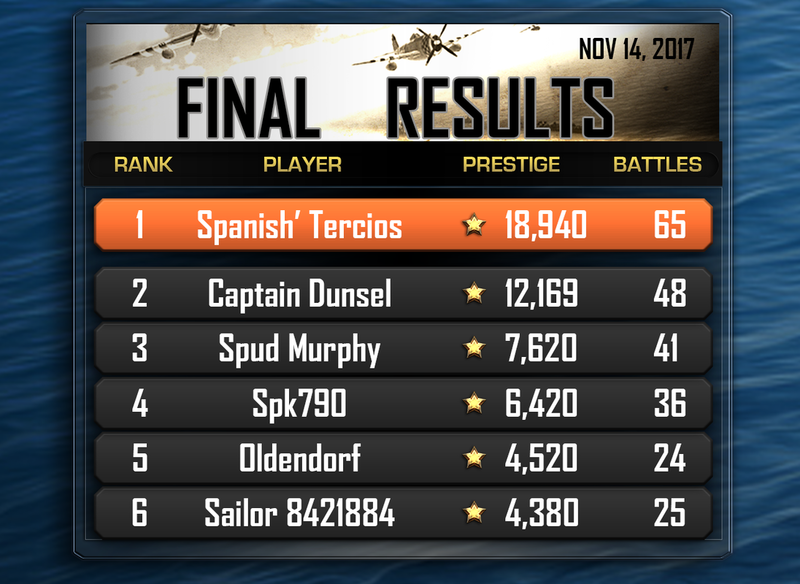 ​After what appears to have been a trying and exciting weekend we have winners of the 2 Battle Fleet: Ground Assault game keys: Spanish' Tercios & Captain Dunsel! Congratulations! It's great to see your hard work and determination pay off. We will notify you as soon as game keys are available for Battle Fleet: Ground Assault. For everyone else, thank you for participating and we look forward to seeing you again on the open seas of Battle Fleet 2 and eventually on the war torn battlefields of Europe in Battle Fleet: Ground Assault. If you have any feedback for us on this tournament or anything else please message us here. ​Did you hear about ANother game of ours....? We really want to tell you about Skytropolis. 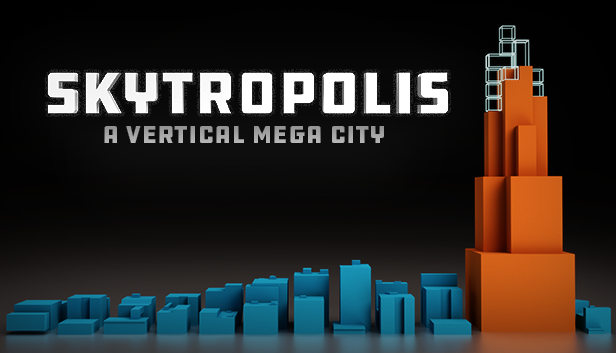 At Mythical City Games we don't just work on Battle Fleet, we also work on other games like Skytropolis! It's a vertical mega city building game in VR and PC (non-VR) where players must balance sustainability and resources using their imagination and architectural skills. Are you a fan of city sim and resource management games? Or do you want to support innovative indie games? Then you will love Skytropolis! Take a look at our steam page and video below. Thank you for your patience. This report took a bit longer to get to you, for that we apologize. After the battle report we have a special announcement to share. 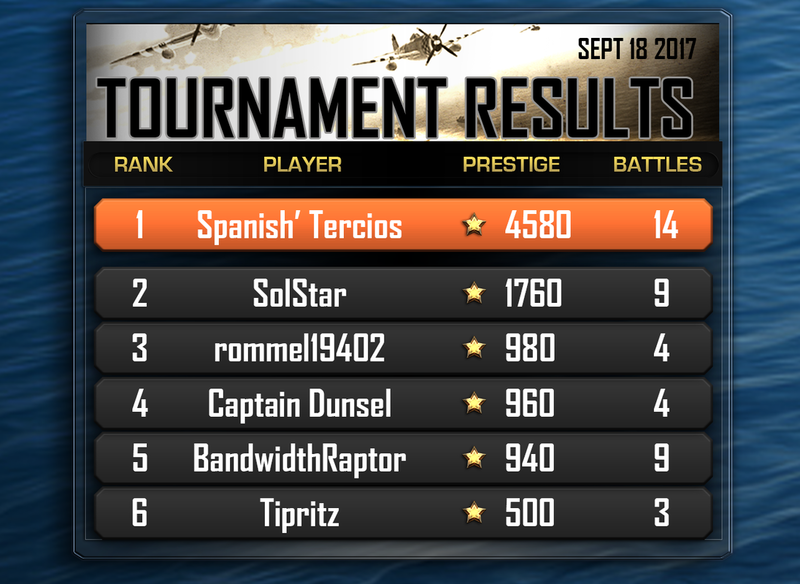 Only 1 Round remaining for your chance to win a free copy of Battle Fleet: Ground Assault. 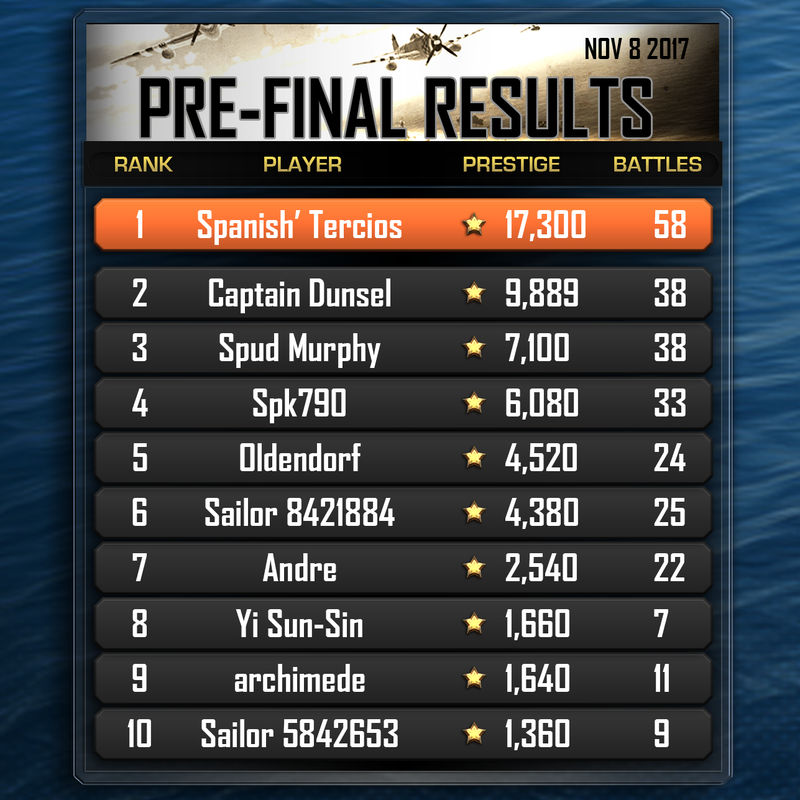 It looks like Spanish' Tercios is coming back for their prestige points. Congratulations for taking 1st rank again. But will these new points be enough to guarantee them a copy of Battle Fleet: Ground Assault? 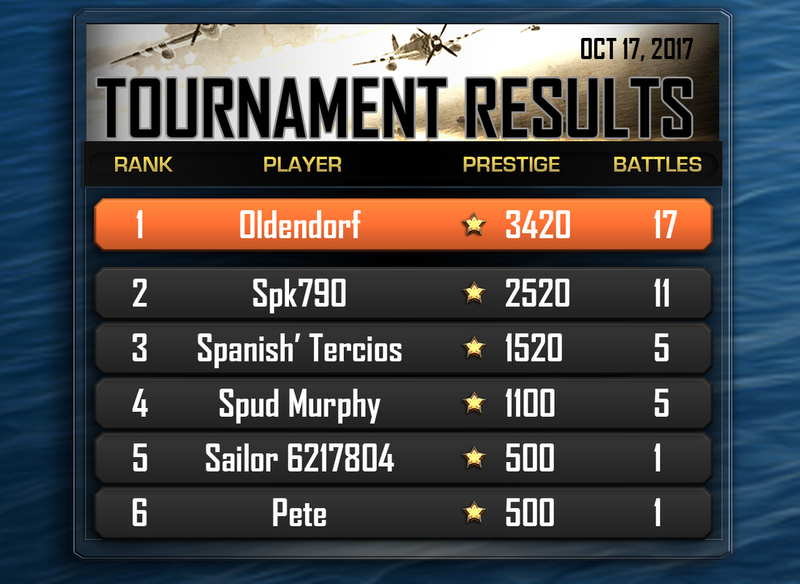 Spud Murphy is also coming back for those points. They may stand a good chance given their frequent placement on the ranks. Furthermore, a new victor joins the ranks, Sailor 8421884, who seems determined to make a stand. If They are to stand a chance they will need to earn a lot of points next round, which is November 10th. There will be 10 rounds total, with 1 remaining, and on the 10th and final round the scores for each player on each round will be added together to calculate their final tally. The final top two winners will receive a free game key to Battle Fleet: Ground Assault! We look forward to seeing you online at our next tournament on November 10th. Skytropolis, a new VR experience from Mythical City Games, is coming to SteamVR November 2nd. Build a vertical mega city in room scale VR or PC (non-vr with mouse and keyboard). Balance an economy and sustainability while growing to new heights in an immersive 3D world. For more information subscribe to our newsletter on our website here. You know the drill, get ready for cross-platform multiplayer action all weekend long and destroy the opposition to be ranked number 1 on the leaderboards. 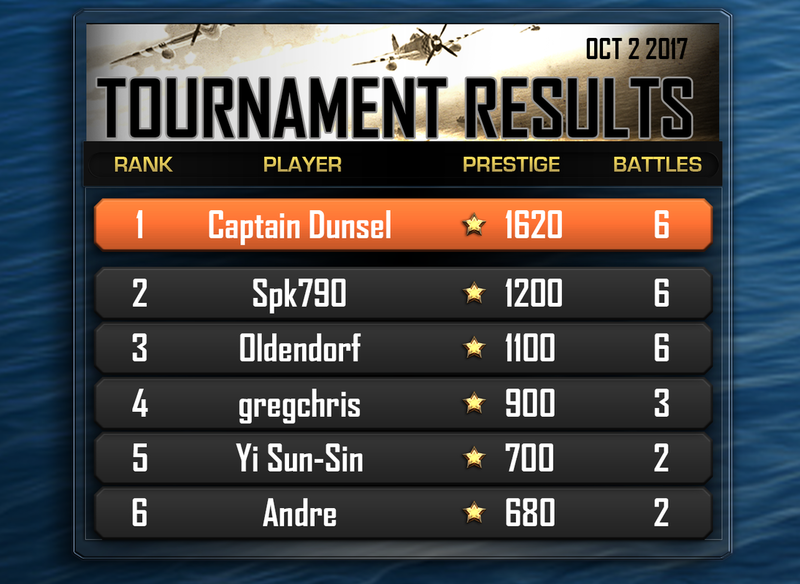 Play in matches with no more than 1500 Industry points from Friday September 29th at noon PST to Sunday October 1st at midnight PST. Results will be posted on Monday October 2nd on our Facebook, Twitter, and Website. 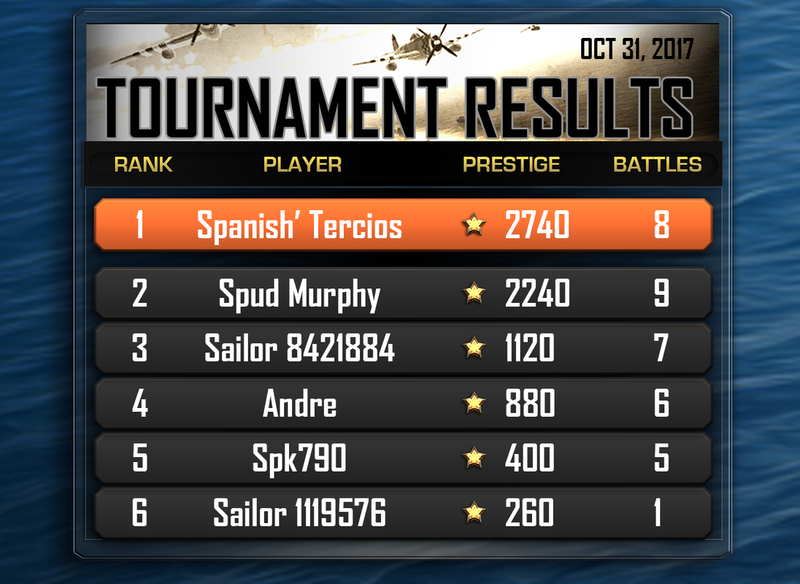 - All battles between Friday the 29th of September noon PST and Sunday the 1st of October midnight PST will be counted in the tournament. - Scores and usernames of top participants will be posted on the Battle Fleet 2 social / media channels on Monday the 2nd of October. Play in matches with no more than 1500 Industry points from Friday September 15th at noon PST to Sunday September 17th at midnight PST. Results will be posted on Monday September 18th on our Facebook, Twitter, and Website. - All battles between Friday the 15th of September noon PST and Sunday the 17th of September midnight PST will be counted in the tournament. - Scores and usernames of top participants will be posted on the Battle Fleet 2 social / media channels on Monday the 18th of September.